"House hacking" is renting out part of your home and using the income for monthly costs or home improvements. Houses aren’t cheap, and the money you plunk down on closing day is only the beginning. Nearly 30% of homeowners say their monthly housing costs, such as mortgage payments, homeowners insurance and property taxes, are expensive, according to a 2018 NerdWallet homeownership survey. About 65% have experienced anxiety related to owning their home. This strategy isn’t as new as it sounds. Owners rent out rooms in their home, or units in a multifamily property, and put the funds toward the mortgage payment or home improvements. It’s a way to let other people pay for your home, and if you follow some ground rules, it could be life-changing. “Doing this has been the best financial decision I've ever made,” says Amy Breyer, a 28-year-old tax accountant. Breyer rents out three bedrooms in the Minneapolis house she bought soon after graduating from college. “The tenants cover the whole mortgage and almost all the utilities, and I get to save extra for retirement and pay off debt,” she says. Want to hack your housing expenses? Here’s what you need to know. Research local zoning laws, or contact your local government to make sure it’s OK to take in boarders, says Stephen Fishman, an attorney in Olympia, Washington, and author of “Every Landlord’s Tax Deduction Guide.” Some laws may require a permit or limit the number of tenants allowed. Ask your homeowners insurance company how renting rooms may affect your policy. Breyer has extra liability coverage and requires tenants to have renters insurance since their personal belongings aren’t covered by her homeowners policy. For some, the intimacy of living together requires a strong, existing relationship. For others, a lack of emotional attachment is essential. “I prefer not being friends with the tenants because then I don't have to worry about ruining relationships,” Breyer says. She interviews and runs background checks on all of her boarders, but sometimes things still get complicated. “I've had tenants expect special treatment — breaking the lease or paying less rent — when I was too friendly,” Breyer says. Set the rent too high, and you’ll have trouble finding tenants. Set it too low, and the income may not be worth the space you’re giving up. Research average rent prices for your market on sites like Rentometer.com or ApartmentList.com, or look at the price of similar properties on Craigslist to help you decide. Even if your boarder is your BFF, renting makes you a landlord and you have to behave like one, Fishman says. He recommends using a standard, state-approved lease, which you can often find online for a small fee. Even if you don’t use a formal lease, be aware that state or local landlord-tenant laws still apply. Breyer prefers a month-to-month lease because it gives both parties the flexibility to part ways quickly if circumstances change or if there’s a personality conflict. Failure to report income from renters could mean paying back taxes, interest and penalties if the IRS audits you. 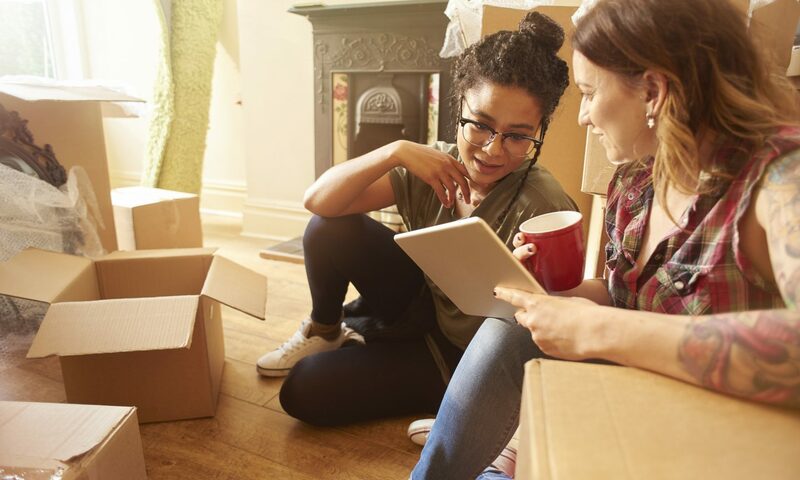 On a happier note, you may also be able to deduct some of your landlord expenses, like repairs, improvements or insurance, so keep good records. Talk to a tax professional before renting out your space to make sure you fully understand how income from rent may affect your taxes. House hacking may work well now, but plans change. What happens if you decide to start a family or sell the house? What if a boarder wants to move in with their significant other? Consider writing an exit strategy into your lease or creating a separate agreement. It could detail, for example, how boarders would be reimbursed if they had helped pay for permanent home improvements while renting. In addition to covering your mortgage now, renting rooms could help you refinance your house or upgrade to a better one later. Some loan programs, like Fannie Mae’s HomeReady mortgage, allow borrowers to include boarder income on their application. That extra money may improve your debt-to-income ratio enough to qualify for a larger loan, but you have to plan in advance. You’ll generally need to prove the same person shared your residence and paid rent directly to you for at least 12 months, says Kathleen Beck, a mortgage lender at West Coast Mortgage Group in Sacramento, California. This could mean canceled checks, bank statements or tax forms. If everything’s in order, those rent payments could account for up to 30% of your qualifying income.